Too high a concentration of salts in the soil or in the irrigation water or the use of heavy doses of fertilizer coupled with inadequate irrigation will cause this condition. This problem will develop rapidly in container grown plants. 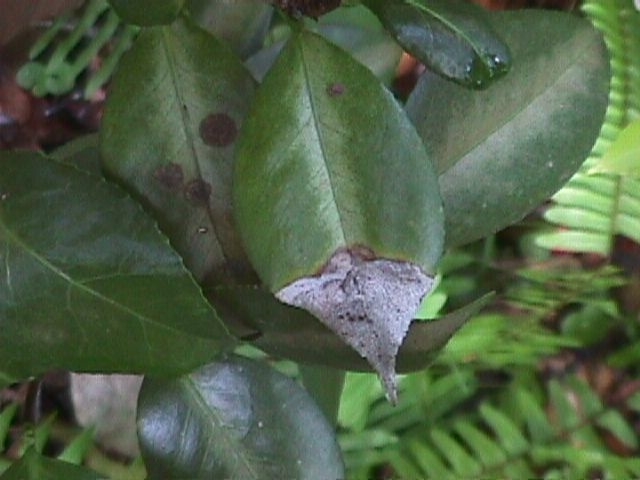 To prevent this condition, camellias should be planted in a medium with good drainage. An occasional heavy irrigation will help to leach away the excess salts.